Welcome to the Lexus Soarer Owners Club. The primary source of information on what was probably the best production sports coupe in the world for its time. We hope that you will find your visit informative. It should be pointed out that although the Club is based in the UK, Soarer & Lexus Coupe owners from all over the world are also welcome here. Please note that we are not connected to Lexus GB or the Toyota Motor Company of Japan. This website is in appreciation of the MkIII Toyota Soarer. More affectionately known by UK owners as the Lexus Soarer. Sadly they are a rare sight these days. Production ceased at the beginning of the New Millennium, and the majority of the cars were produced in 1991 and 1992, so most of them have now gone. But many fine examples still exist. If you are new to the site and are searching for more information about the car, click here for more details about one of the finest sports coupes that ever rolled off a production line. 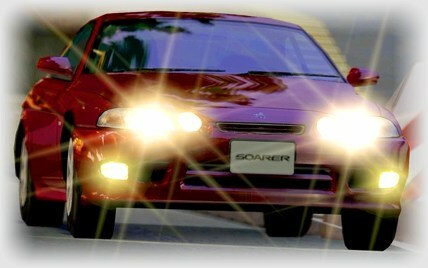 If you already own a Soarer or Lexus Coupe, then you should find our featured articles invaluable. So please do have a look around, you're most welcome. The LSOC recommends JEM for Japanese car servicing. If you need a catalytic converter you should visit Cats2u.co.uk.